ATLANTA, Dec. 4, 2018 /PRNewswire/ -- Physicians who want to start their own business without having to get an MBA will find the coaching they need through the first-ever physician entrepreneur's institute. The Next Level Physician Entrepreneur's Institute is an e-school that provides coaching, curriculum and support to physicians who want to become entrepreneurs. 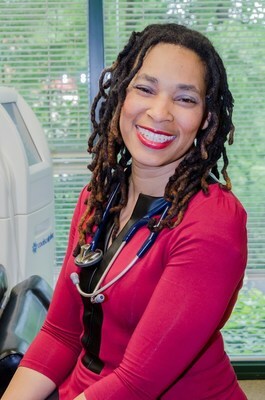 Launched by Maiysha Clairborne, M.D., integrative family physician, author, speaker and physician business & entrepreneurship coach, The Next Level Physician Entrepreneur's Institute helps physicians develop, setup and launch their business with specific coaching, curriculum and community support. The institute is designed for physicians who have an idea for a new business or product and need structured coaching, guidance, and support in taking their ideas from inception to manifestation. "As physicians we are not taught business or entrepreneurship, we are only taught to be clinicians," said Dr. Clairborne, founder of the institute. "I was once that new entrepreneur struggling to find my way in an area I knew nothing about and had to learn on my own." Dr. Clairborne's mistakes and failures as a new physician entrepreneur led her to create The Next Level Physician Entrepreneur's Institute: "I created this institute so that I can help other physicians create their ideal careers and practices without the pain and struggles I had to endure due to lack of business knowledge, training, and support along the way." Dr. Clairborne and her team offer several levels of programs from the flagship "Employee to Entrepreneur Business Startup," to "Setup Accelerator Program," to the "Next Level Physician Advanced Entrepreneur Fellowship." In addition to courses, the Next Level Physician Entrepreneur's Institute offers a directory that helps promote students once they have launched their businesses, and a community that empowers them along the way. Maiysha Clairborne, M.D is an integrative family physician whose mission is to empower physicians to create careers they love so they can live life of their design. With over 14 years of clinical experience, her training journey began at Emory University where she completed her BA in Psychology. She received her medical degree at Morehouse School of Medicine and completed her Family Medicine Residency at Florida Hospital. Dr. Clairborne has delivered talks for International Conference on Physician Health, WELLMED International Conference, and multiple academic institutions including Emory University School of Medicine. She founded Mind Body Spirit Wellness Center, which she successfully ran for a decade. She then founded Stress Free Mom MD, a coaching company helping moms in medicine reclaim their time & freedom in their lives. 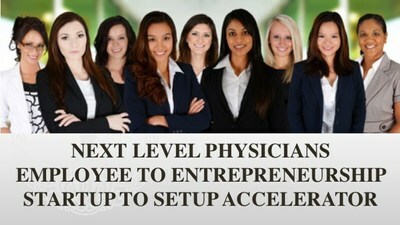 Learn more about Next Level Physician Entrepreneur's Institute at www.NextLevelPhysicians.com. For media inquiries, email media@drmaiysha.com or call 470-227-1993.